I recently listened to the audio version of Elisabeth Tova Bailey's The Sound of a Wild Snail Eating -- a beautiful, poignant and reflective book about surviving a debilitating illness while finding beauty and wonder in an object of nature and in quiet observation. “..the snail had emerged from its shell into the alien territory of my room, with no clue as to where it was or how it had arrived; the lack of vegetation and the desert-like surroundings must have seemed strange. The snail and I were both living in altered landscapes not of our choosing; I figured we shared a sense of loss and displacement." The snail became a source of wonder and fascination to Bailey, and as her illness forced her deeper into a secluded confinement, she found comfort in this unusual bedside companion. “Illness isolates; the isolated become invisible; the invisible become forgotten. But the snail... the snail kept my spirit from evaporating. There was so much about Bailey's story and writing that, for obvious reasons, deeply resonated with me. I saw myself in the descriptions of the onset of her sudden illness, the isolation that the severity of her affliction thrust upon her, and the sense of peace she found in observing an object of nature. 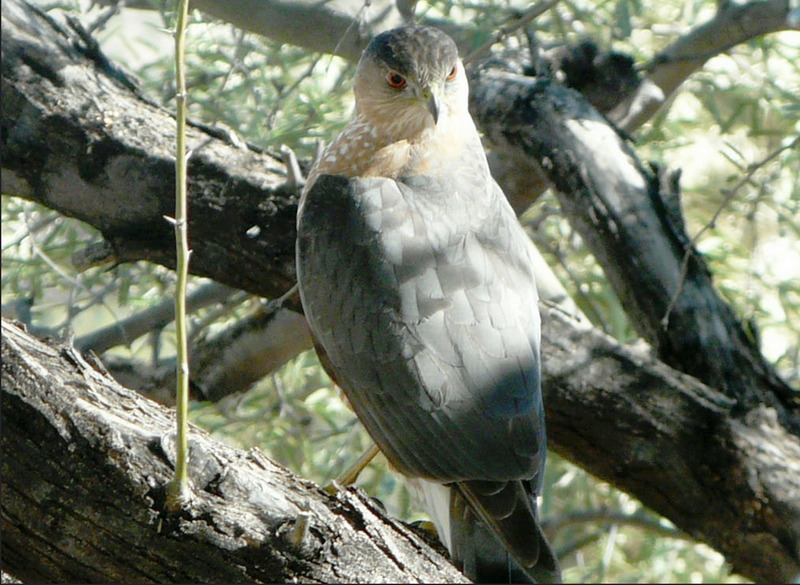 For Bailey, it was a snail; for me, it is the trees, the wildlife and the cactus blooms that comfort me outside my bedroom window each day. Something else that struck a particular chord with me was Bailey's notation of her glaring absence from the world she once knew. She writes, "From the severe onset of my illness and through its innumerable relapses, my place in the world has been documented more by my absence than by my presence." This sense of absence is something I've grown more acutely aware of in recent years. I've always been conscious of it on some level, of course, but it seems to stand out to me more and more as the years pass and I watch time and the lives of others slip by without my presence. The degree of isolation that is brought upon those who suffer with this disease, especially in its severest form, is at times rather shocking. These patients are isolated not only from the outside world, but often also within the confines of their own home. Some must live in total darkness and silence virtually 24 hours a day, unable to tolerate even the slightest hint of light or sound. As a result, they are also unable to fully interact with the very people who live with and provide them with care. In my own case, I currently reside with my parents; yet, I rarely see them for more than about an hour scattered in small moments throughout each day. Due to severe difficulties with speaking above a whisper, as well as the problems I face with sensory overload, I find that more than a few minutes of interaction can be incredibly taxing. I struggle with the influx of information (both visual and auditory), keeping my eyes focused on whoever is speaking, quickly finding the right words to say in response, and then getting those few words out clearly enough to be heard. Sometimes, if my reply is more than I can say out loud, I have to write it down on a piece of paper instead. Thus, even minimal interaction can be deeply draining and, if it goes on too long, has the potential of causing a setback that can last for weeks or even months. It's difficult to see how much my parents (my mother, in particular) must do for me on a regular basis, and yet, I cannot really give them anything in return. They are each in their mid-70s now, and I worry about the fact that, were they to become ill themselves, I could not be there for them in any kind of real, tangible way. It's something I do not let myself think about often. For now, I'm ever grateful they are each still in my life, and that they are both healthy and strong. Of course, my limits in interaction are not discriminatory; they apply to anyone who comes into my room. When my brother and his family visit for a week each spring, I barely get to see them beyond giving everyone a hug each morning, exchanging a few words about what they've been up to, telling them that I love them, and perhaps taking a few pictures of us all together on their last day. While I cherish each and every one of these moments, I long to participate as they go on their daily sight-seeing adventures, or simply to hang out with my niece and nephew in my bed and play games or listen to all of their many stories. Sometimes, instead, I will listen to them from afar, my eyes closed, as they play or chat in another room. Friends, too, have inevitably been distanced as a result of my illness. In fact, it's been 14 years since I've seen virtually anyone outside of family, helpers and a few doctors. The only real exception is my best friend from college. We studied a semester abroad together, backpacked through Europe and spent two months after college traveling throughout the U.S. She is like a sister to me and, prior to my becoming ill, we used to speak on an almost daily basis. Now I see her for a few minutes once a year when she comes to AZ with her family for Christmas. She and her children give me hugs and gifts, tell me of their latest news and, sometimes, her daughters will sing a song or two for me. Her husband often simply greets and waves to me from the hallway. Regretfully, that's the extent of her visit each year, as it is the most that my health can withstand. My own fiance and I have not seen each other since his proposal in 2008, as we are both now far too sick to travel such distances (Jim lives about 2,000 miles away). We still write every single day, often several times a day, and not a moment goes by where I don't feel infinitely grateful for his presence in my life. But I miss him terribly and wish so much that I could see him again. As someone who used to be highly social and active prior to getting ill, these challenges in communicating with and being present to those I love are unbelievably frustrating and, at times, heartbreaking to me. There's been an immeasurable amount of lost time, and of irretrievable moments never fully experienced. I've missed out on countless milestone birthdays, weddings, anniversaries, holidays, parties, recitals, plays, concerts and even just the daily everyday type of things like casual dinners, going to the movies and chatting for hours on the phone. As much as we all work around my circumstances as best we can, I'm simply not able to be an active participant in the lives of my friends and family in the way that I so yearn. Fortunately, the rise of social media in recent years has helped a bit in reestablishing my connection to the outside world. Facebook, for example, has allowed me to reunite with many friends I had not seen or spoken to in years. Though I am unable to spend much time online, I can generally check my newsfeed for a few moments each morning, where I get to see lots of photos of all the many faces I miss, and hear about everyone's daily activities and adventures -- without having to write long emails, which can also be quite difficult for me. In addition, I've been able to meet new people I'd otherwise never have met, and some of these new friends have become very dear to me over the years. It's been wonderful to have this outlet, and I am so grateful to now have that kind of connection. At the same time, seeing and hearing about everyone's exciting lives on a day-to-day basis can also be a stark reminder of just how much I am missing out on, and of how absent I really am from each of my many friends' lives. Despite my circumstances, however, I cannot truly say that I am lonely. Distanced as I may be, I still have the love and support of dear friends and family, some of whom do their utmost to care for and include me in their lives on a regular basis. My absence is felt on their end as well as on mine, and I am reminded often that I have not been forgotten. Most especially, I have the love and support of my fiance who, every day, affirms how important I am in his life, as he is in mine. It is that love which holds me up and carries me through. I also know that, unfortunately, there are many others like me out there, fighting this disease in their own forced isolation every single day, and we are each united in our shared stories. Finally, much like Elisabeth Tova Bailey's wild snail, I have the wildlife, blooms and butterflies outside my window. They remind me that there is a kind of beauty and simplicity in merely existing and being open to each moment. And, in this moment, my presence in this world -- though slowed, distant and contrary to my wishes -- has not been fully silenced. It makes itself known through the words I write, through small gestures, through memories and through the hearts of the people I love. In this way, it battles on and continues forward. And it will never cease striving for its long-awaited moment of release. "Survival often depends on a specific focus: A relationship, a belief, or a hope balanced on the edge of possibility. Or something more ephemeral: the way the sun passes through the hard seemingly impenetrable glass of a window and warms the blanket, or how the wind, invisible but for its wake, is so loud one can hear it through the insulated walls of a house." "Wherever you are, be there totally." May 12th is myalgic encephalomyellitis (ME) awareness day. ME is a very serious and complex neuro-immune disease which afflicts as many as 17 million people world-wide. One way to raise awareness is to help fund research that could lead to a definitive biomarker and a better understanding of the disease, as well as to potential treatments or even a cure. 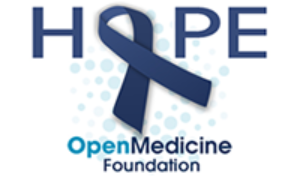 If you are able, please consider donating to the Open Medicine Foundation's End ME/CFS Project, which aims to conduct the first comprehensive study on those like me who are severely afflicted with the disease and are bedridden and/or housebound. It has been estimated that we comprise about 25% of the patient population, and yet, we have never been fully studied as a whole. This new study is therefore very important in terms of understanding the disease and finding answers that could lead to treatment. "As part of our End ME/CFS Project, this study will conduct a comprehensive, “Big Data,” analysis on severely ill ME/CFS patients with the goal of finding sensitive and distinctive molecular biomarker(s). The molecular biomarkers that reflect the symptom mechanism are expected to be strongest in the approximately 25% of ME/CFS patients who have a severe form of the disease and are home-bound or bedbound. ...In addition to increasing the accuracy of diagnosing ME/CFS, a distinctive biomarker that correlates with symptom severity could reveal the disease structure or mechanism." Another noteworthy fund raising effort has been set up by Tom Whittingham, brother of severely afflicted ME patient and advocate Naomi Whittingham. Tom has created a beautiful and powerful video (posted below) to help raise awareness about ME, and to appeal for more research funding. He will be running in the Edinburgh marathon to raise money for ME Research UK. Please watch and share his video widely. To visit Tom's JustGiving donation page, click here. Even if you are unable to donate, you can still help! Please consider signing this important petition asking that the NIH increase funding for ME and CFS research. Despite the disease's severity and high prevalence, as well as an estimated economic burden of $20 billion per year, ME/CFS remains among the least funded of all illnesses in the U.S. The NIH spends only 5 to 6 million dollars each year on the disease, and that amount is estimated to remain the same through 2016. More money is actually spent studying hay fever each year. Increased funding means more research, more answers, and the possibility of finding a treatment or even a cure. It will only take a second of your time to sign. Thank you! NOTE: An additional, similar petition has just been created by ME Action and can be found here.